Looking for an access gate to enter or exit your deer fence in the garden? 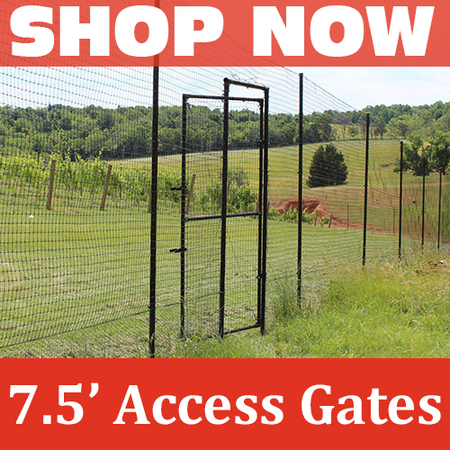 We have deer fence gates available in different sizes to fit your specific needs. 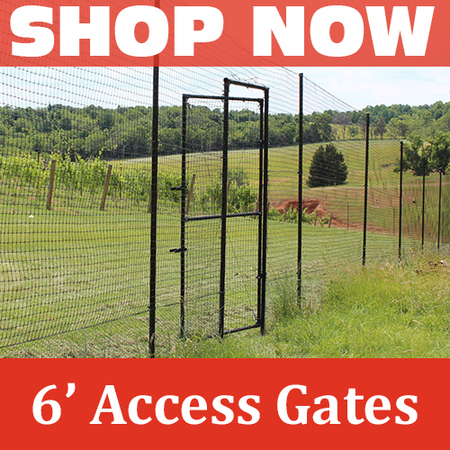 Unlike our driveway gates, these deer fence gates are used for walking in-and-out of fruit and vegetable gardens and small garden areas. In addition to giving your garden fence a completed look, adding a deer fence access gate increases security of crops, flowers and land. Access Gate assembly is easy. Read how to install a fence gate.